CCI Standard Velocity 22 Long Rifle Ammo 40 Grain Lead Round Nose for sale online at cheap discount prices with free shipping available on bulk 22 long Rifle ammunition only at our online store TargetSportsUSA.com. Target Sports USA carries the entire line of CCI ammunition for sale online with free shipping on bulk ammo including this CCI Standard Velocity 22 Long Rifle Ammo 40 Grain Lead Round Nose. CCI Standard Velocity 22 Long Rifle Ammo 40 Grain Lead Round Nose review offers the following information; CCI Standard Velocity ammo is loaded to the same velocity as CCI Green Tag and Pistol Match ammo but priced less to help keep shooter's wallets fuller! CCI Standard Velocity 22 Long Rifle features a 40 grain Lead Round Nose bullet with a sub-sonic of 1070 ft/sec. 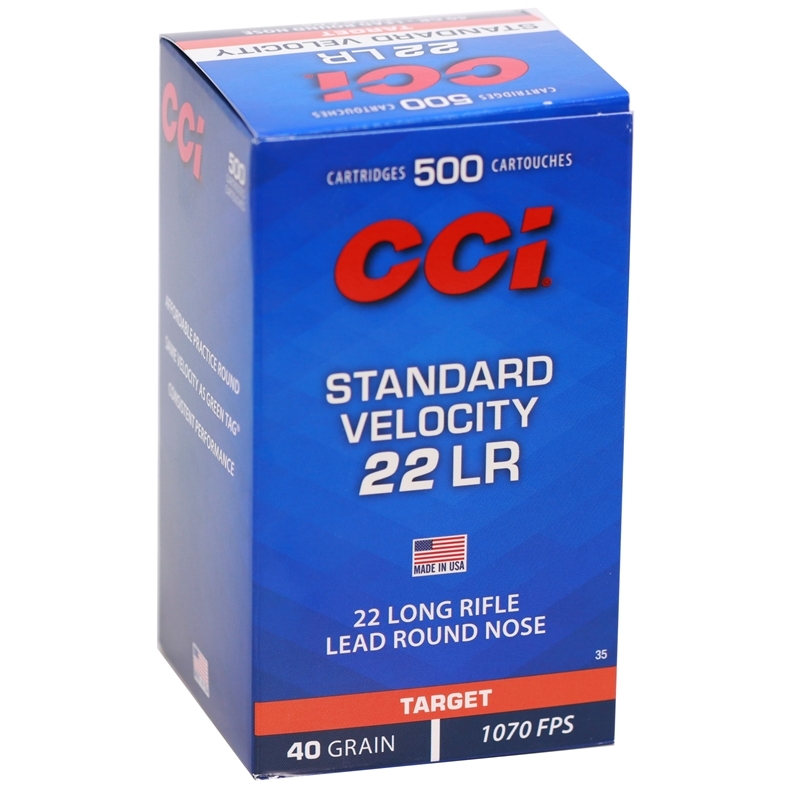 CCI Standard Velocity 22 Long Rifle ammunition is great for plinking or competition training. CCI ammunition features a clean-burning propellant that helps keep semi-automatic actions cleaner for longer shooting sessions. CCI is known in the shooting industry as having reliable ammunition that provides excellent performance shot after shot! Delivering an explosive and accurate performance over and over again with incredibly reliable ammunition is what CCI Ammunition is known for among hunters and target shooters alike! For over 50 years shooters have counted on CCI for all of their rimfire ammunition needs, and CCI has always delivered. 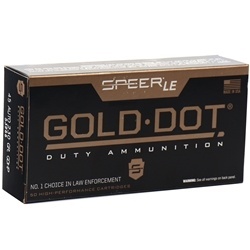 CCI offers a variety of inexpensive ammunition in almost every caliber, ideal for all shooters and fit perfectly for popular rifle, pistol and semi-automatic shooters. CCI works hard and makes sure that each round if loaded to supreme velocities for the best presentation. CCI 22 Long Rifle ammo is shooters best option for any type of 22 LR shooting events! CCI 22 LR is new production, non-corrosive ammunition featuring CCI Sure-fire primer and brass cases. CCI Standard Velocity 22 LR ammunition is ideal for plinking or competition training. CCI Standard Velocity ammo is loaded to the same velocity as CCI Green Tag & Pistol Match ammo. CCI Standard Velocity 22 Long Rifle features a 40 grain Lead Round Nose bullet with a sub-sonic of 1070 ft/sec. I have shot many thousands of rounds of this cci product. That is not the story, the story is how efficient Target Sports is with their online ordering system. They are in CT and I am in CA. It was like shopping at a local store. Blazing fast shipping speed with tracking included. I'll be back Target Sports USA. Great ammo. Works very well with suppressor. Targetsportsusa delivers all orders quickly and discreetly. Order in bulk for best deal. Response:Depending on the availability, we are hoping to see bulk cases of CCI Standard Velocity 22LR ammo sometime before November. Thank You for Shopping at Target Sports USA.